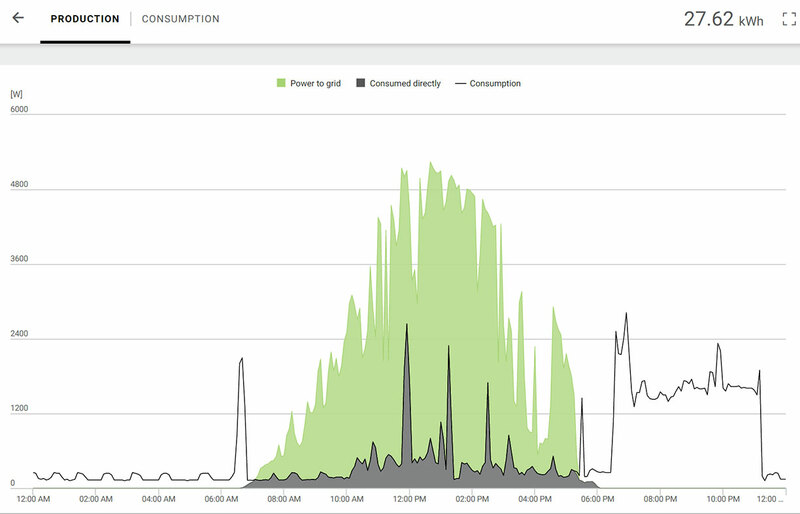 Like most inverters installed with your solar system, Fronius has a web-based application and app that you can use to monitor solar generation and energy consumption. You’ll need switches installed on your switchboard and wi-fi details set on the inverter. Need help getting the upper hand on your electricity bills or checking that your solar system is working? You should consider an energy monitoring system, says James Martin from Solar Choice. 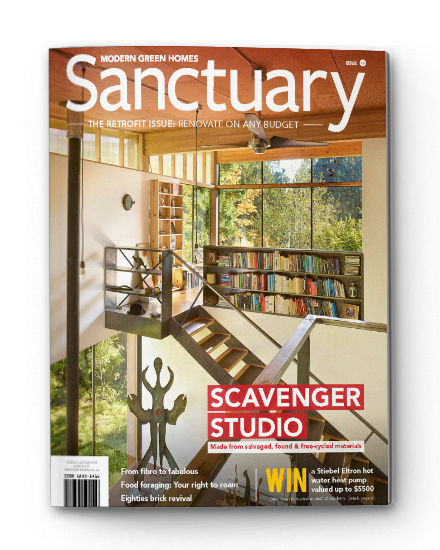 This article was first published in Issue 141 (Oct-Dec 2017) of Renew magazine. Do you have a clear picture of what’s drawing electricity in your home right now? If you’re like most Australians, you probably don’t. Historically, this hasn’t been an issue because electricity bills weren’t a major concern for most households and, in any case, the number of devices was probably small. But these days electricity prices are high and there are likely to be more electricity-consuming devices plugged into the walls of any given home than the occupants can think of off the top of their heads. Many Australians have turned to solar panels to help them fight rising prices. Rooftop solar is now affordable and commonplace—the Hills Hoist of the 21st century. However, comparatively low solar feed-in tariffs in most places mean that solar homes have less incentive to send solar electricity into the grid and more incentive to use it directly. Despite this fact, many (if not most) solar system owners would be at a loss if you asked them how much energy their system produced yesterday, never mind the proportion that they managed to self-consume. Solar systems have even failed without the homeowner realising until they received their next bill. So monitoring is important! Thankfully, there’s a growing number of products on the market that shed light on household energy consumption and solar generation. These devices take a range of approaches and offer a range of functions, but can generally be classed as either monitoring systems or management systems. As the name implies, a monitoring system enables the user to ‘see’ what’s happening with their electricity, usually via an app or web-based portal, whereas a management system lets them not only observe but also ‘reach in’ and control which devices switch on at what times. In reality, the line between the two is becoming increasingly blurred as platforms that once offered only monitoring get upgraded to let them do more. Monitoring and management systems can be lumped into roughly five categories based on how they are physically installed in the home. These include ‘smart plugs’ for general power outlets, hard-wired units that connect directly to appliances and smart appliances themselves. They sit between a power outlet and a device’s plug, or are embedded within the device itself. Once connected to wi-fi, they let the user monitor energy consumption (via an app or web-based portal). They can be set on a timer or switched on and off manually from afar. Examples include Elgat and Aeotec smart plugs, Sonoff hard-wired units, PowerTracker sensor and gateway, and appliances such as Samsung Family Hub refrigerator or the popular Nest thermostat. 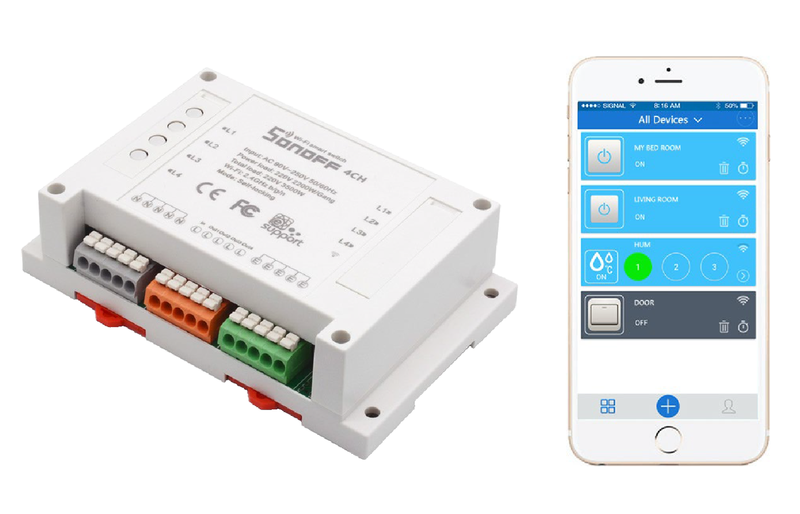 These work in conjunction with smart plugs and smart appliances over a wi-fi network to provide a central interface and inter-operability between devices using different protocols. Examples include the Philips Hue bridge, the Rainforest Eagle Zigbee Gateway and the Samsung SmartThings hub. These are installed in or near your switchboard, with clamps attached to the various circuits of the home (including solar and batteries, if installed) for monitoring energy use via a web portal or a display in the home. Examples include Efergy, Smappee, Watt Watchers and Solar Analytics. Some of these work with solar and storage systems, but are generally independent of a particular inverter or battery. Some simple clamp devices only monitor total current flow and don’t take into account power factor, which means that appliances with a poor power factor will register as using more energy than they actually are; however, they can still give you a broad idea of energy use. These come embedded in the inverter of a solar system or battery and provide information on generation and storage via a web portal and/or app; they may or may not be able to monitor electricity consumption in the house. Some require additional switchboard switches, interfaces or hubs. The major inverter/battery manufacturers all provide web-based monitoring systems; you can often try the software out to get an idea of the level of detail before you purchase your inverter. These use the home’s digital meter itself as the monitoring and control hub, so are only available to homes with a smart meter installed (most homes in Victoria, solar homes and some others in other states). The smart meter provides electricity usage and solar export data which can be accessed by the homeowner through their retailer or via hardware/software that directly accesses the meter. Examples include in-home displays like the Pipit 500, and retailer/distributor apps and web portals, such as Jemena’s Electricity Outlook and the Powershop app. Home automation is often seen as a bit of a nerdy gimmick, but there are some useful applications and equipment out there, like these smart plugs. If you have a device that you want to switch remotely (like a powerboard for the TV etc that’s behind a cabinet) then you can do that fairly easily. One added advantage is that many of these smart switches can also monitor the amount of energy being used by the device. If you’re concerned about the potential for the smart switch to increase your phantom power use, then it’s encouraging to know that they use only a tiny amount of power when the device is switched off. 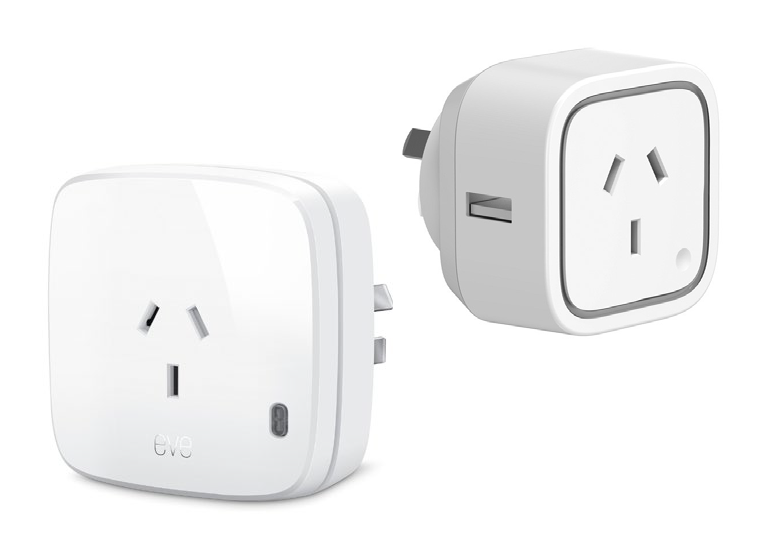 For example, the $85 Aeotec Z-Wave Plug-In Smart Switch 6 uses 0.5 W on standby. Depending on the device you can also control them using your phone and potentially using voice commands; e.g. the Elgato Eve Energy (also $85) is compatible with Siri. Monitoring: what and what level of detail? When it comes to knowing what’s happening inside your home energy system, different platforms have different capabilities. Below is a breakdown of parameters that a system may be able to monitor, useful to keep in mind for asking questions as you shop around and compare monitoring products. Note that the time increments for monitoring will vary by the system installed. Some will show data flows in real-time or near real-time, while others may show it in 15-minute or half-hourly chunks. Most systems will show some kind of historic analysis as well, so that you can compare recent data to past data to gain insights and improve your home’s energy effectiveness. Demand by device. All device-level monitoring platforms will show the demand curve for the devices they’re attached to; many central hub units will also allow individual device monitoring in conjunction with smart plugs and Zigbee/Z-wave controls. Solar generation. How much solar energy has been produced in total? Solar self-consumption. How much solar has been used by the home? Solar export. How much solar has been sent into the grid? Solar into battery. How much solar has been used to charge batteries? Battery state of charge. How much energy is stored in the battery relative to the total possible storage capacity? Battery charging. Is the battery charging, and at what rate? Battery discharging. Is the battery being discharged to meet household demand? Battery grid export (if applicable). For ‘selective energy export’ programs (such as Reposit Power’s GridCredits), how much stored energy has been sent into the grid at a premium? Grid consumption charges. How much energy has been drawn from the grid, at what rates and at what total cost? Solar feed-in credits. How much solar has been sent into the grid, at what rate and at what total value? Savings thanks to solar and batteries. How much has the household managed to reduce its electricity bill through solar and batteries? How much energy is the home sourcing from solar and batteries versus importing from the grid? The next thing to consider is the system’s control capability: what appliances and devices can be monitored in the home, and how does it manage them? Below are some questions that are useful to ask when trying to decide between products. On/off control. Can the system be used to switch things on and off, either at the device or circuit level? Remote control options. What are the options for remote control, e.g. on/off switch, timer schedule, algorithm/rule-based? Remote adjustments (beyond on/off). If control happens at the device level, are more subtle adjustments to device operation possible, e.g. adjusting the thermostat on an air conditioner? Third party control. 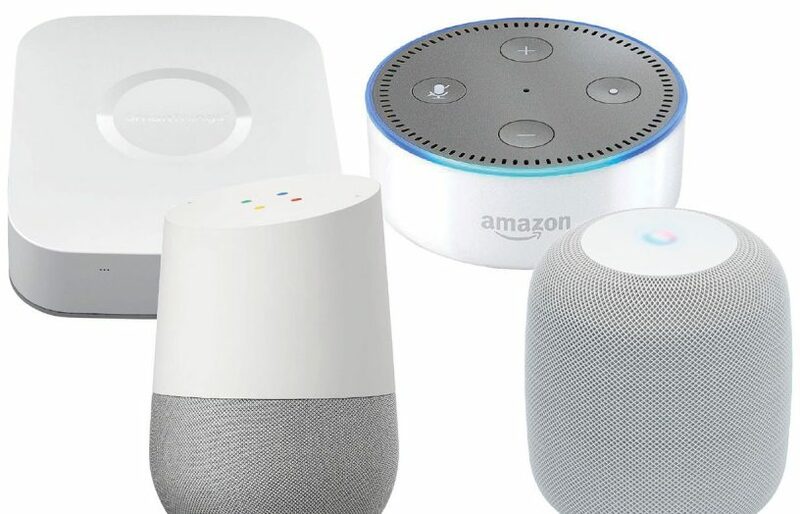 For a system that has a central hub, will it communicate with third party devices such as smart plugs or other ‘internet of things’ (IoT) appliances? Communications protocols. What wireless mediums can be used for control, e.g. Z-Wave, wi-fi? Solar diversion. For systems with solar, can certain devices be automatically switched on when excess solar energy is available, e.g. water tank element? Charging control. For systems with batteries, can batteries automatically be pre-charged with cheap off-peak grid electricity to meet demand on days when low sunlight levels and high energy usage are anticipated? Appliances can be switched at the appliance, as seen earlier, but also from the switchboard. This Sonoff unit fits in your switchboard (or a sub-board) and can control up to four circuits individually. The app can control it just like appliance-level Sonoff units. Solar or battery sizing recommendations, for homes that don’t already have them. One other thing to keep in mind when choosing a monitoring or management system is how it connects to the internet to enable it to log data and be controlled remotely. The two most common ways are standard wi-fi and GSM/mobile phone. Wi-fi is a popular option because it is ubiquitous in modern homes so likely comes at no additional cost. However, wi-fi connections can be unreliable and troublesome to reestablish in the event of an outage. Wi-fi connections are also less secure than GSM connections, which may raise privacy and safety concerns. Monitoring/management systems that use GSM connections are generally more reliable and more secure than wi-fi. However, they may come at an additional monthly cost. Be sure to check the specifications of the units you’re considering as well as the terms of sale to know what you’ll be committed to before you make your decision. James Martin is communications manager at Solar Choice, a company that provides comparison quotes on solar and battery systems. They maintain a table of home energy management systems at www.solarchoice.net.au/blog/HEMS. This list is not exhaustive, but gives you a starting point when looking for a system. Many if not most energy monitors now use some form of networking to relay data, such as to the cloud or a phone app, making them part of the wider Internet of Things (IoT), which encompasses all internet-accessible devices. Often, a low power networking system is used to get data to a central hub, which is then connected to the home network via standard ethernet or wi-fi. Some devices will connect directly to the home’s network router to access the internet. Unfortunately, there is very little standardisation among manufacturers, with most monitoring and control systems using their own method. Fortunately, some devices can combine devices with different protocols into the same network. Wireless protocols and systems include Bluetooth LE (low energy) and Bluetooth mesh (which allows more devices to connect to a single network), wi-fi, near-field communications (NFC), Z-Wave (another mesh network system), Zigbee (a low-power, low data rate, close proximity wireless network), LTE (mobile phone network) and RFID. Wired systems include standard ethernet and powerline communications (data over powerlines). Buying a smart monitoring and/or control system often means committing to a particular protocol/networking system. This can be a problem if that particular manufacturer disappears in the future, as happened recently when Sony stopped supporting the Sony Dash clock/radio/internet display device, effectively turning them into expensive bedside clocks. Being connected to the internet makes any device vulnerable to hackers, as was demonstrated in March this year when malware called BrickerBot started bricking (making unusable) Linux BusyBox-based IoT devices. Other IoT-targeting malware has shown up previously using default login credentials to access devices. So if you make any of your network-connected devices accessible to the wider internet, make sure the original username/password account is changed or removed (once you have added a new administrator-level account). 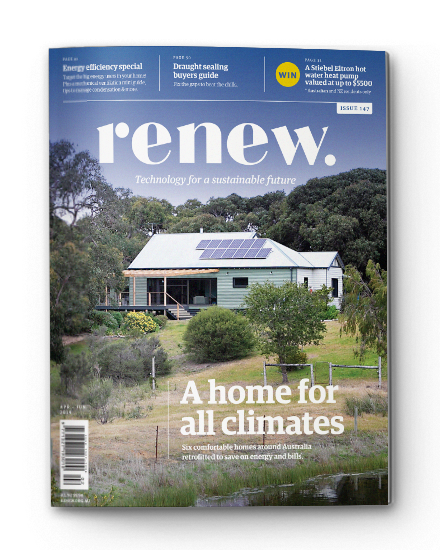 This article was first published in Issue 141 (Oct-Dec 2017) of Renew magazine. 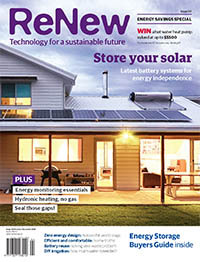 Issue 141 is our energy savings special and includes an energy storage buyers guide. 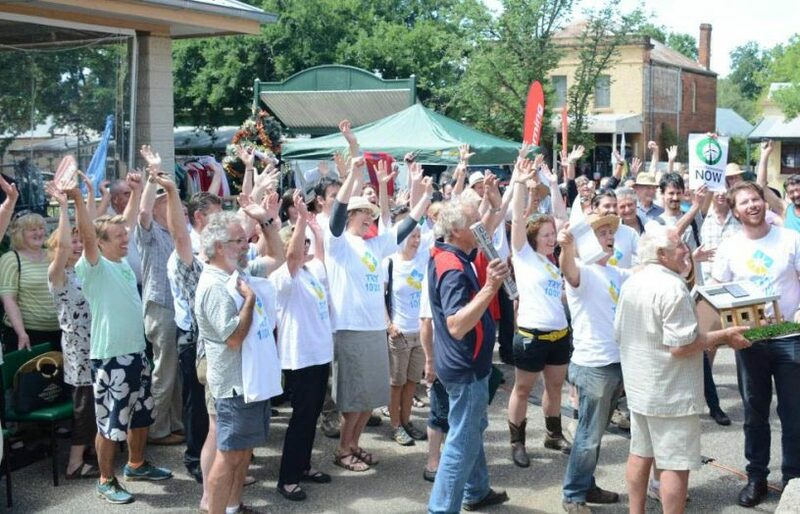 Totally Renewable Yackandandah (TRY) is at the forefront of regional towns making the shift to renewable energy, as Matthew Charles-Jones described at a recent Renew branch meeting in Melbourne. Houses that think: Are smart homes really a smart idea? Smart home technology is touted as the way of the future, helping to make life easier while reducing energy use. But is that really the case?